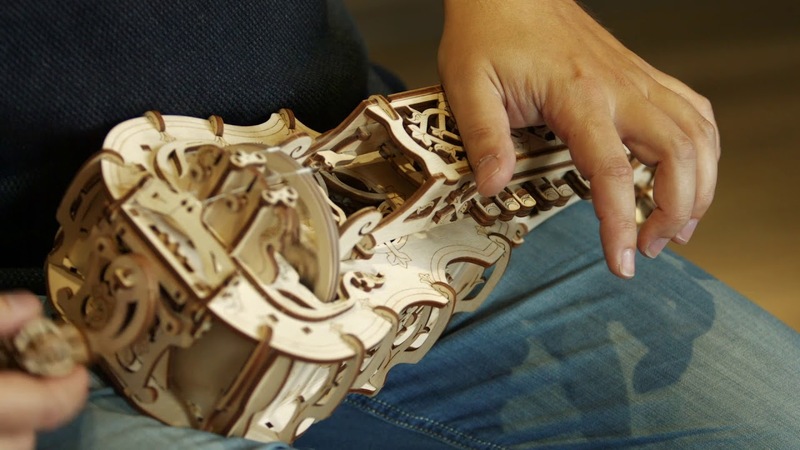 Hurdy-Gurdy Musical Lessons on the Ugears model. 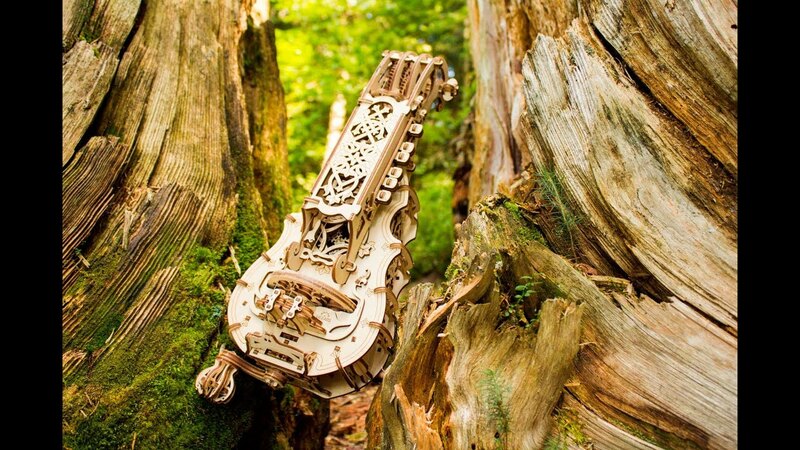 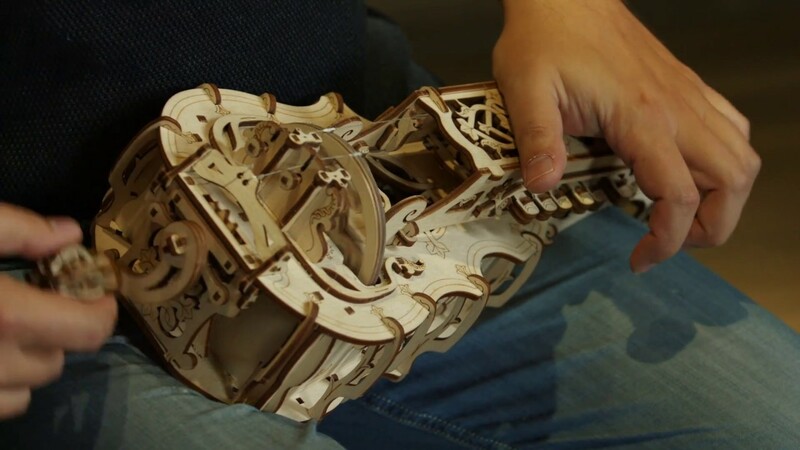 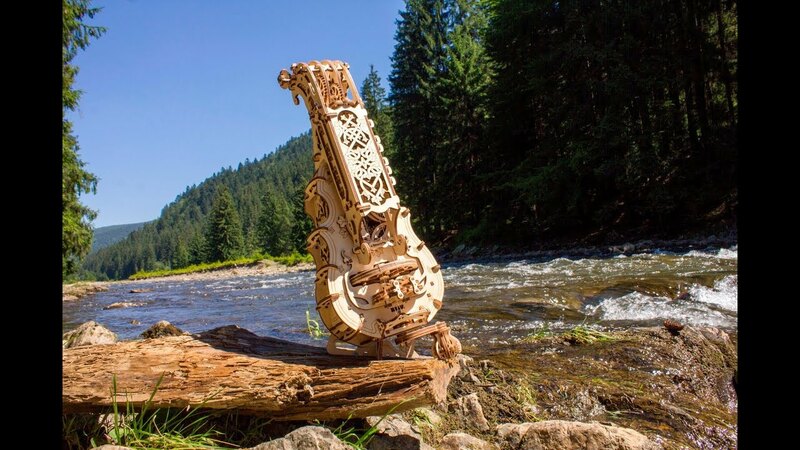 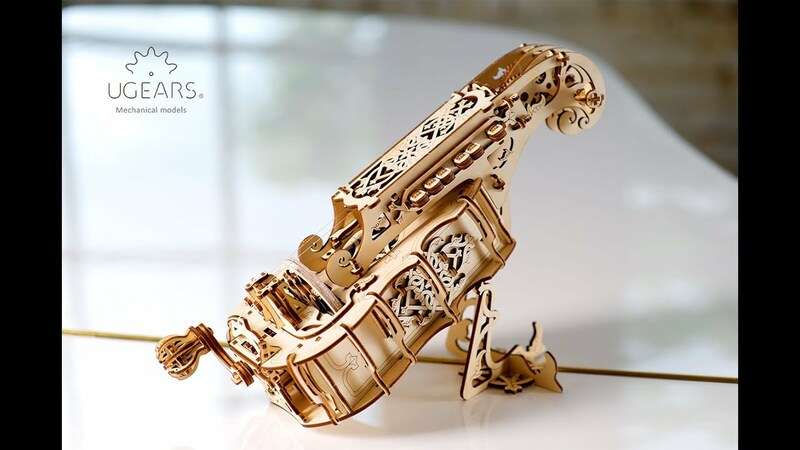 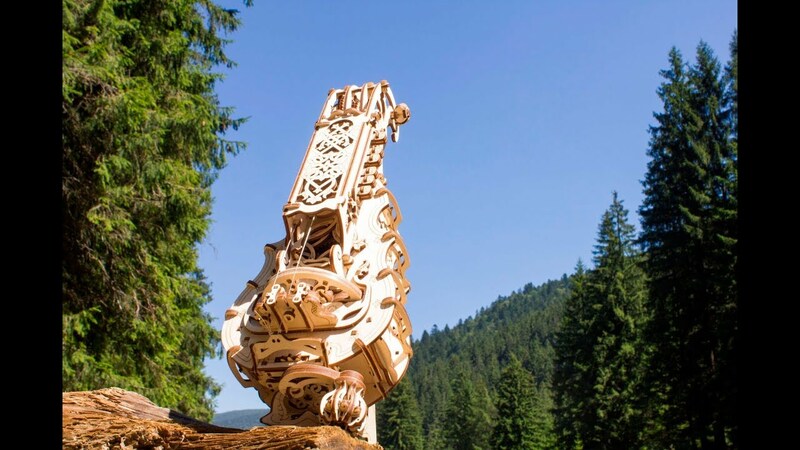 The Ugears Hurdy-Gurdy is a full-fledged musical instrument. 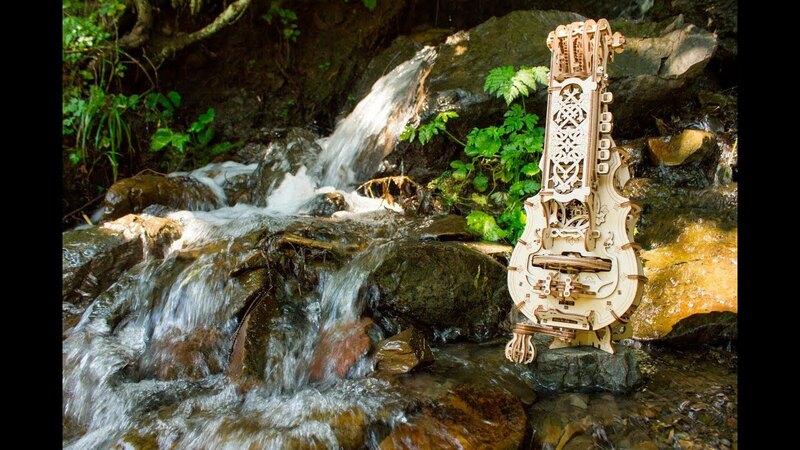 It’s easy to play dancing melodies, from folk to modern. 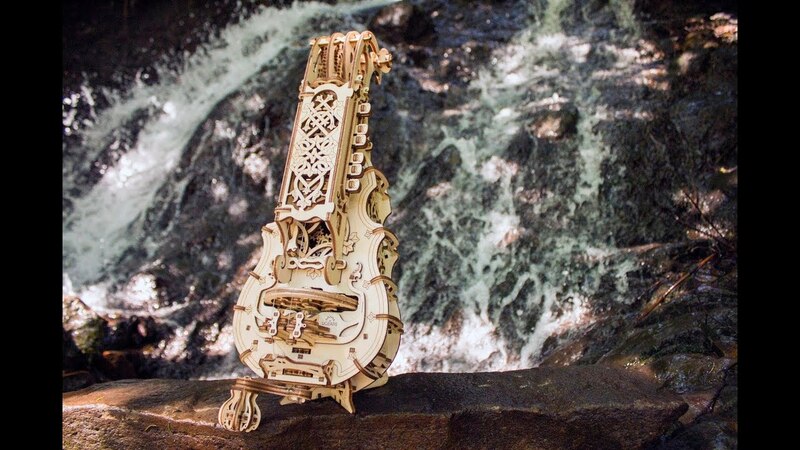 To start the music flowing, the player just need to crank the handle with one hand to kick off a drone sound from the bourdon and melody strings. 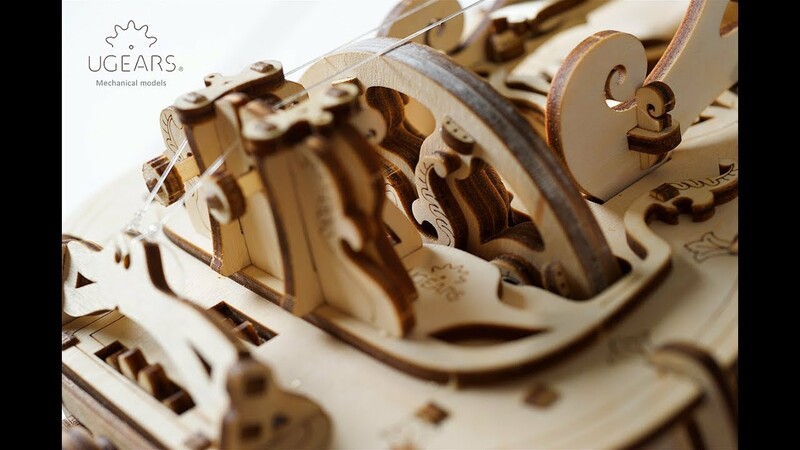 Pushing the wooden buttons with the fingers of the other hand changes the pitch of the melody string, as "spring-loaded" wooden blocks essentially shorten the string.